Some of our readers asked us about the best ways to transfer files over wi–fi from Android Phone or Tablet for PC or any other Wi-Fi Device. I am answering about all the queries to transfer files over WI-FI from an Android device effectively and with fast speed. These days most of the games come with installation size more than 300MB, even music videos, films are bigger. Custom ROMs variable from a package of 100 MB to 1GB depending on the features. If you are transferring files from your PC to Android device or sharing files with other devices over WI-FI then transfer speed is a main concern. Zapya for Android: Zapya has more than 300 million users on Play Store, and one of the best Android apps to transfer files over Wi-Fi to other devices like Windows Phone, iPad, iPhone or Android. You can also transfer Files to Mac or PC using this app. You can easily add friends and create a Transfer network. You can send file to a single friend or multiple friends at once. SHAREit for Android: Shareit was launched with Lenovo devices and later launched for whole Android Platform. You can send files to phones with Android, iOS or Windows. Shareit also has a PC app so you can also transfer files from PC to Android or back. This is one of the most used Android Wi-FI Sharing app. FileDrop for Android– Do you want to transfer files from your PC to your Android Tablet or Phone and make it as easy as drag and drop. Filedrop is an easy to use app for Android and available as a software for Windows and Mac users. You will need to install FileDrop on your computer as well on your mobile device and then you will be able to transfer files easily between them. Sharebox –Share over Wi-Fi– Sharebox enables users to share files via Wi-Fi network like you share on PC. You select files and make it available for sharing. Once done and app is enabled the other user will be able to access those files using a local website. 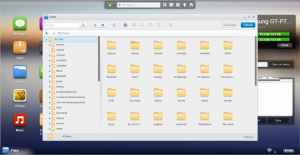 In this way the files and secure and users using Wi-Fi connection will be able to see the shared files without any app, they will just need an internet browser. Websharing Lite File/Media Sync: This is an easy to use app that turns your device into an http file server. Just configure the owner account password and enable file sharing. Now, just get the IP address and open it on another device you will be prompted to provide a password. Enter the password, you will be able to see all the files and folders in “/sdcard/” directory of your device. The app is easy to use and effective for sharing large files over Wi-FI with PC. 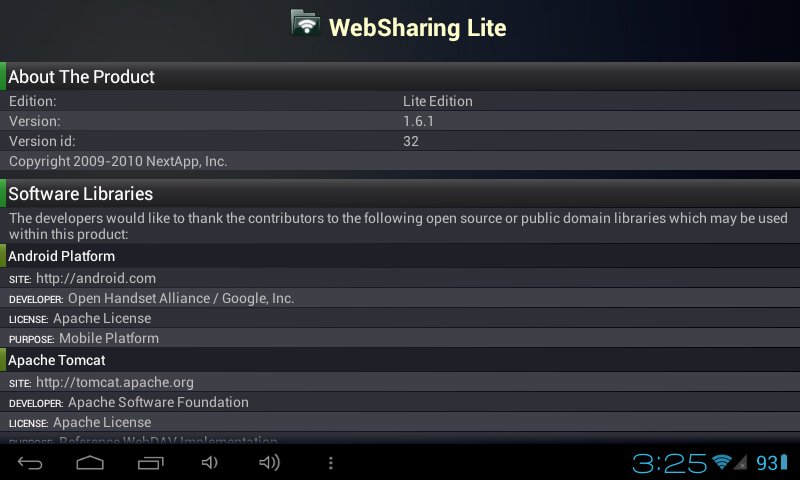 Airdroid: Most of the Android users know about this app, it’s easy to use and simple like the websharing Lite. 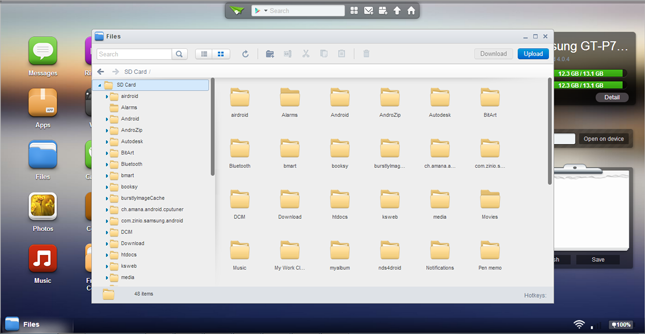 All you need is to setup Airdroid on your Android device and then open provided IP on your computer and you will be welcomed by a cute interface which makes files transfer very easy. Android has a lot more features and you would love the UI. Joikushare for Android: Symbian users must be knowing about Joikushare, the air share features works like a charm to transfer files over Android. You can share phone photos, music, videos and files with other WI-Fi devices are it Phone or PC. You can also Play media over WI-Fi. No internet connection or activation is required. Just open the app and you will be asked to configure the access password and then you will be provided with an IP address. Open the same on another device and access all files and functionality. Tappouch Wi-Fi File Transfer Android: Device need to be connected using Wi-Fi, open the Tapouch and tap on “Share files/folder” on the source device. You will be provided with a secure key, on the other device open Tappouch and tap on “get file/folder” and provide the key. The file will start transferring, tapouch provides excellent speed when you have to share files between Android devices. 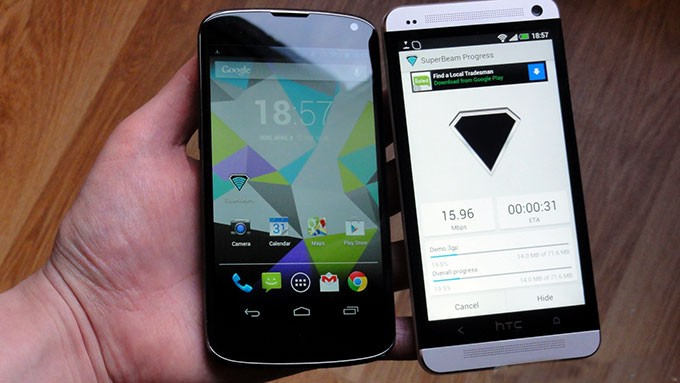 SuperBeam for Android: Superbeam boosts itself as the fastest way to share large files over Wi-Fi for Android users. Just pair your Wi-Fi equipped devices using QR code or NFC and initiate transfer of files over Wi-FI Direct. I do not have 2 Wi-FI Direct devices so I was not able to test it. But some reliable websites like Android central have reported files transfer speed from 20-25Mbps which is pretty good. There are many other apps on Play store and XDA developer which may prove useful for you. I have mentioned the apps after researching on a dozen of Wi-FI file sharing apps and then selected the above mentioned app for this page. If you still have some other app that is good enough to feature on this list then do let us know. We would also love to hear your experience with these apps.